What is the best UK cashback credit card? Are the best cashback credit cards a good alternative to miles and points cards? Cashback credit cards are not a core focus of Head for Points due to, erm, their lack of points. That isn’t going to change, but as the benefit packages on reward cards continue to be squeezed it is worth keeping an eye on the best alternatives. After all, you could use the cashback to pay for travel directly or even buy points in your preferred programme. The best cashback cards come from American Express because these have not been impacted by the 0.3% cap on interchange fees. 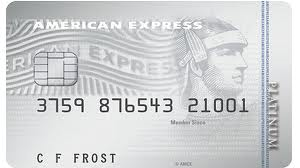 With retailers paying more to accept the cards, Amex can pass back more to you. You can find details of the Platinum Cashback card here and the Platinum Cashback Everyday card here. It comes with a £25 annual fee. The Platinum Cashback credit card has a representative APR of 28.2% variable, including the £25 fee, based on a notional £1,200 credit limit. The interest rate on purchases is 22.9% variable. Cashback is paid in a lump sum at the end of each card year. The card has a representative APR of 22.9% variable. To save you getting your calculator out, the break-even point for getting the £25 card is £10,000 of spending per year. For everyone except the highest spenders, you are better off with the free Platinum Cashback Everyday card. Tesco Clubcard MasterCard (free, representative APR 18.9% variable) – 0.3 Avios per £1, based on 1 Clubcard point per £8 spent. However Tesco rounds down each transaction to the nearest £8 which means your actual earning rate is lower. I don’t think there are any cashback cards which offer more than 0.5% in cash or vouchers on your general spending. Some of these cards also offer 0% deals on purchases or balance transfers. I am not suggesting that you should drop your existing reward credit cards and switch to cashback cards instead. It depends what value you place on your miles and points. Importantly, these calculations don’t take into account the other benefits offered by travel loyalty cards, such as the 2-4-1 voucher on the British Airways American Express. It is always good to be aware of the alternatives though. If you have tried and failed to get your friends to switch from ‘no rewards’ cards to a ‘miles and points’ card, at least do them a favour and tell them to get a good cashback card instead. For moderate spenders, the Lloyd’s Choice Rewards (http://www.lloydsbank.com/credit-cards/choice-rewards.asp) card offers points redeemable for an equivalent of 1.5% back in Amazon vouchers, plus double points in the first 6 months (so 3% then) for a £24 fee. You can also redeem the points for avios (1 point per £) but I think Amazon vouchers are generally worth more. Not sure why nobody ever seems to recommend it! I prefer the Lloyds Avios cards which, for the same annual fee, do not charge the usual 2.99% FX charge on foreign currency spending. It’s in our credit cards directory because of the Avios angle but Lloyds Avios Rewards is better so we focus on that. How does having a cash back card affect your 6 month “holiday” if you are reapplying for the Amex Gold or Platinum card and aiming for sign up bonus points? It doesn’t, only getting another Membership Rewards card would impact that.